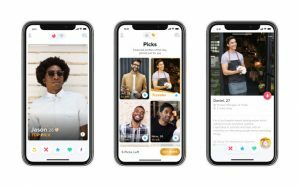 Tinder’s new Top Picks feature is now available worldwide, after getting positive feedback in the initial testing locations. Top Picks was originally rolled out in Canada, Mexico, Brazil, Russia and several European locations. The testing wasn’t given a lot of publicity, with Tinder instead choosing to officially announce the feature at its global launch. Tinder Gold subscribers will now receive a list of specially curated potential matches everyday. They can also choose to buy more profiles for that day – either 10, 20 or 30. The daily list will be based upon the user’s previous activity on the app and the information on their account. It’s hoped that Gold members will find better results if they are given fewer, but more high quality, profiles to swipe on. Each Top Picks profile will get a tag attached to it, such as ‘adventurer’, ‘foodie’ or ‘creative’, which could give other users more incentive to swipe right on them. The feature is designed to help users make better decisions than they might when having an unlimited number of options everyday. Tinder’s Chief Product Officer Brian Norgard said on TechCrunch: “We’re excited to finally share Top Picks with our users around the world given its early success. Tinder Gold received approximately 299,000 new subscribers in Q2, taking the total number of premium members to around 3.75 million.